Both six string and twelve string have excellent note separation and a clear punchy sound, with more sustain and ring than one expects from arch-tops. The twelve string is full and rich without the muddy sound often associated with flat-top twelve strings. 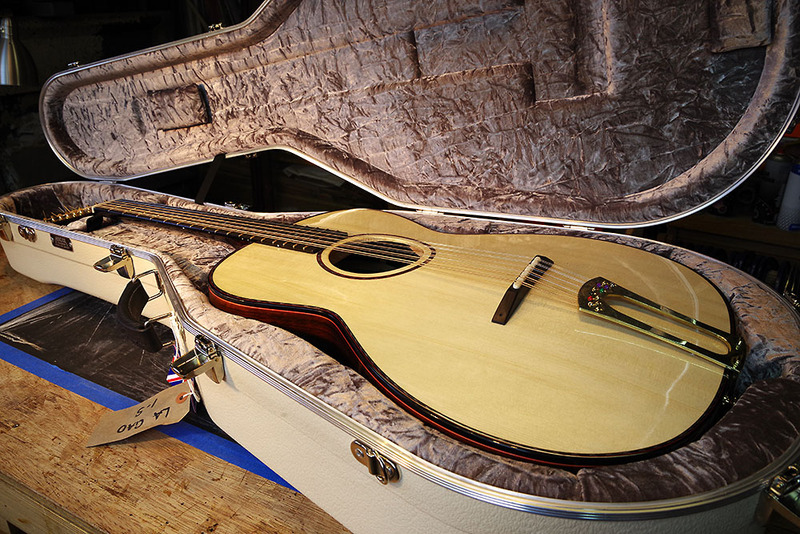 The six string arch-top is built on the Martin Simpson Model body. The round-hole top is carved German spruce, back and sides are flat-top style, bent over curved braces. 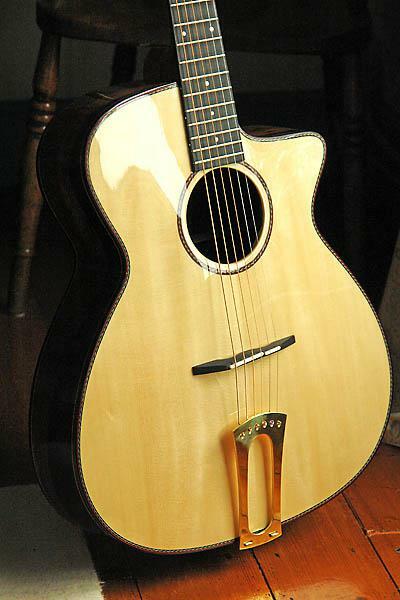 The twelve string arch-top is built to the same design on my Model 2 body. Both bodies are available as four or five course guitar-bouzoukis.